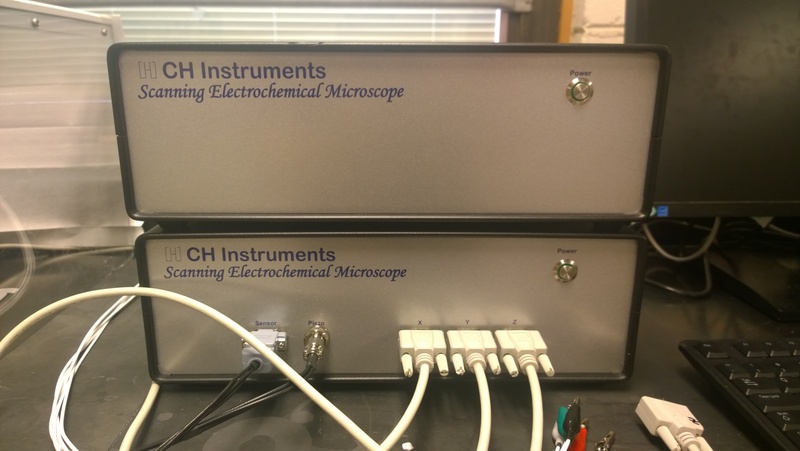 EchemLab just acquired a new scanning electrochemical microscope from CH instrument. 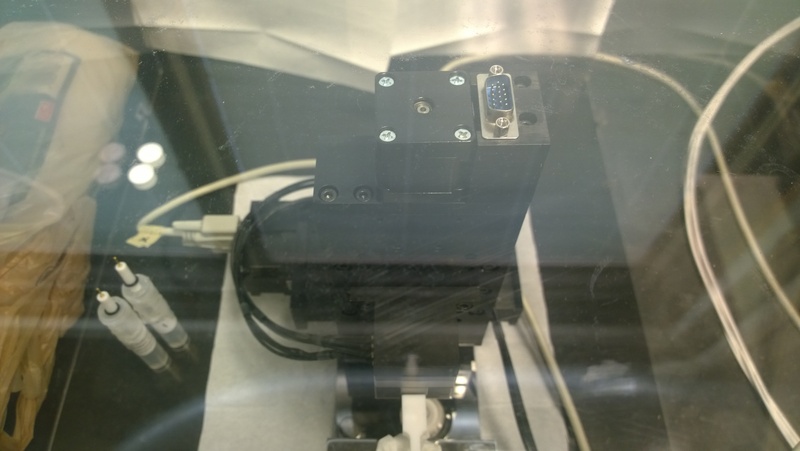 SECM involves the measurement of the current through an ultramicoelectrode when it is held or moved in a solution in the vicinity of a substrate. Substrate, …, perturb the electrochemical response of the tip and this perturbation provides information about the nature and properties of the substrate. We have visited Prof. LeSuer’s lab in Chicago State University and seen the immense potential SECM can bring. 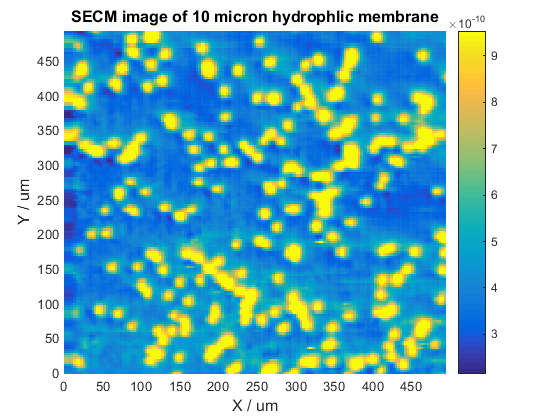 Here is an SECM image for a polycarbonate track etched membrane with 1o micron pore diameter we got.